The initial launch of the Oculus Rift may have started off on a bumpy road with pre-order delays lasting weeks and even months, however, now with Oculus all caught up, the company is ready to boost their hardware distribution outside the U.S.
Today, Oculus announced that the Rift will be available to in a variety of retail stores throughout Europe and Canada starting on September 20th! While customers in Europe and Canada have been able to order the Rift headset directly from the Oculus website since back in January, the company’s latest initiative to further expand its retail presence with new partners should help bring more appeal and product awareness to consumers on a mass scale. 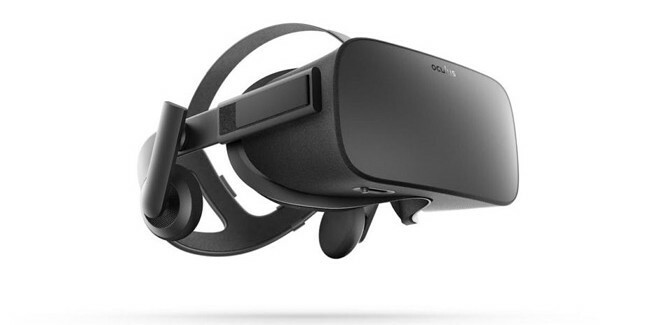 According to a post on the official Oculus blog, the Rift headset will be available on Amazon in the UK, France, and Germany, as well as a number of retail chains within their respective regions like John Lewis, Curry’s PC World, GAME, Harrods, FNAC, MediaMarkt, and Saturn. As for Canada, you’ll be able to purchase the Rift at your local Best Buy and the Microsoft Online Store. In addition to selling the Rift in more regions, Oculus plans to roll out more in-store demonstrations of the Rift in the U.S., Canada and Europe. The company says, by this fall there will be over 600 retail locations offering live demos. All customers will get a free copy of the popular VR platforming adventure game, Lucky’s Tale, as well as “hundreds of free 3D 360 videos and VR movies” to experience. Pre-orders are starting now from retailers in Europe and Canada, and will begin shipping and be available in-store next month for a suggested retail price of £549/€699.